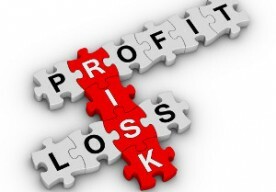 One factor that most people do not consider carefully when investing their money is the concept of Risk. Market Risk refers to the possibility that the value of your investment will go down because of changes in the broader economy that you cannot control. Examples of these changes include stock prices, interest rates, currency exchange rates, commodity prices, and many other factors. Many people may not realize that the success or failure of their financial future might be tied to market risk. For example, many Americans use 401(k) accounts to save for their retirements. 401(k) accounts are often used to purchase stocks and other securities. Because stocks can lose value based on the market conditions we listed above, that means these 401(k) accounts are subject to market risk. It’s important that you go into any investment with a full understanding that you could lose some or all of your money in any one investment. In many cases, the investments or strategies that offer higher rewards, also have higher market risk. It is important to balance possible reward with possible risk when making plans for the future. There are financial solutions available that help establish a stable financial future while protecting against the downsides of market risk. This information is not intended to be specific advice to purchase, sell, liquidate, surrender, replace, or withdraw from a particular mutual fund, variable insurance product, stock, bond, or any other security.